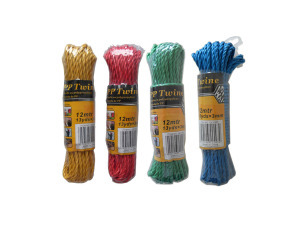 This twine makes a colorful addition to the toolbox, the camping box, the kitchen, or an outdoor supply box. Package includes 13 yards of 1/10"-thick twine. Colors includes blue, red, green and yellow.